Suspended Ceilings offer many benefits, especially in relation to insulation and the appearance of your home, office or shop. 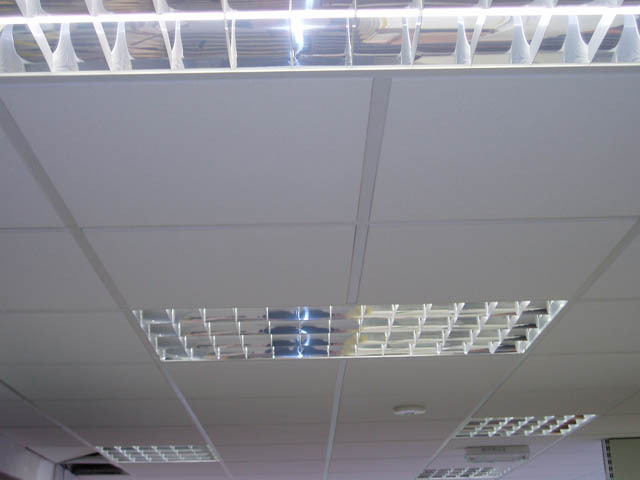 Often used to conceal ceiling defects and unattractive paintwork, the suspended ceiling will leave you plenty of room for further installation of piping or wiring work. It can also improve heating circulation helping you keep your costs down. Sure4orm Contracts install every type of suspended ceiling imaginable, we always aim to suit your aesthetic and practical requirements and will install with the minimum of disruption to your normal everyday environment. All work carried out by Sure4orm Contracts is carried out in strict accordance with stringent building regulation requirements.